Girard-Perregaux - 1966 Chronograph "Doctor's Watch"
Girard-Perregaux presented the 1966 Chronograph "Doctor's Watch", a 20-pieces Limited Edition column-wheel chronograph exclusively created for the renowned Dubail boutique of Place Vendôme, Paris. 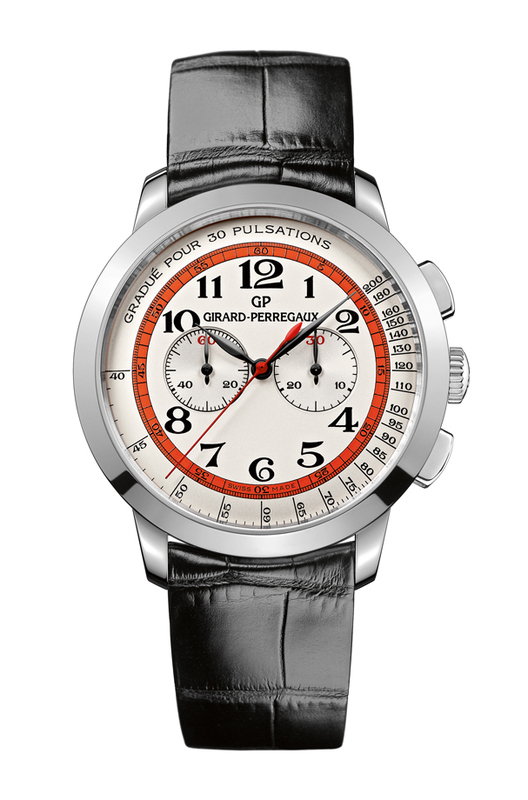 This automatic chronograph is characterised by the orange minute scale as well as by the pulsometric scale on the outer circle of the dial. 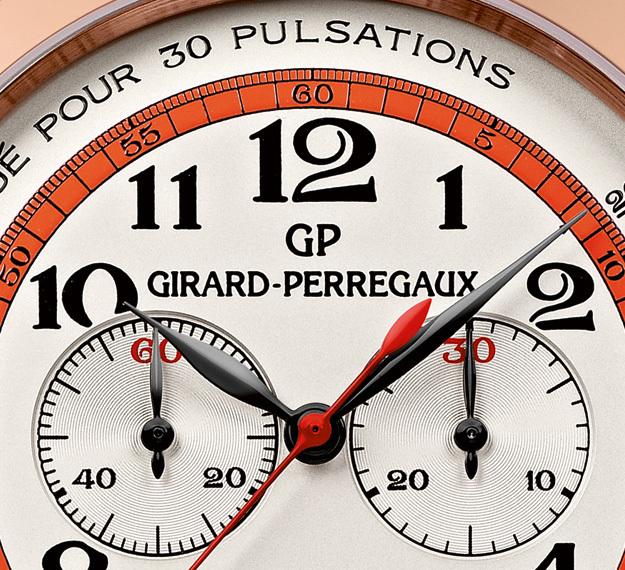 The "feuille" hands emphasise the vintage look. The 40 mm case will be available in red gold (10 pieces) and white gold (10 pieces). Movement is the Swiss automatic Girard-Perregaux in-house caliber GP030C0 with 38 jewels, 28,800 vph and a power reserve of 36 hours. 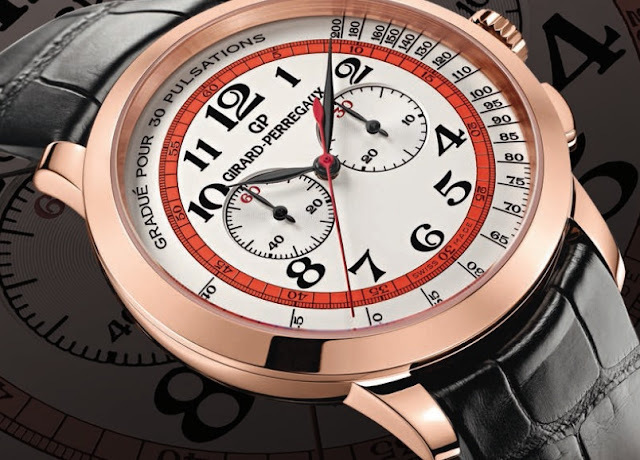 It is a column-wheel chronograph. 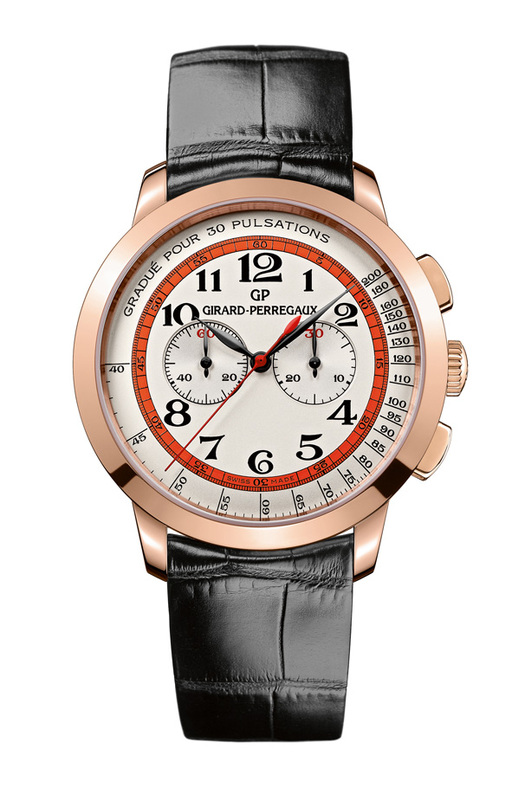 Time and Watches: Girard-Perregaux - 1966 Chronograph "Doctor's Watch"